Are you in dire need of a get away? What about a perfect excursion that is tailor made just for you and your family and friends? Located in the south western end of the island in what is known as the “bread basket” parish, is the beautiful Y.S. Falls. The parish of St Elizabeth is known for its avid farming and lush fertile environment. Fresh produce are abundantly grown in this parish and the farming of animals prevails in this beautiful part of the country. The falls are a part of the Y.S. River in St Elizabeth, and are found to lie specifically on a working cattle and horse farm. All these components come together to form a part of the Y.S. Estate, which has become quite a well known attraction. Come and delve into an excitement filled day at the beautiful Y.S. Falls. You enter the estate via a gift shop filled with beautiful Jamaican crafts and souvenir items. Right at the beginning of your adventure you can change your clothes and indulge in famous Jamaican beer, rums, drinks and snacks at the grill and bar. This will be sure to put you in the right mood for your outing. Your experience starts with a fun and rustic ride to a mysterious undisclosed location. You pass horses, stables and lush green fields while eagerly anticipating what you are about to meet. Your convoy drops you at the rest stop and you are greeted by the grandeur of tall flourishing trees and the majestic falls. There is so much to see and to do. Take a hike alongside the falls and go right to the top, soaking up all the beauty of the water and plants that there is to see. 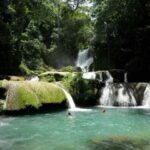 You are also able to go river tubing down the falls or have a fun “Tarzan like” time, swinging off a well placed rope for a cool splash into the invigorating naturally formed swimming pools of the falls. If that’s too tame for you, you can “up the ante” and go canopy zip lining. See the falls and the lush vegetation in an unexpected way as you zip through several stages in the air taking in the spectacular view. Safety is top priority here and guides are readily available to advise and guide you through this energetic activity. Is your goal relaxation and family time? Then spend your time in the cool crisp water of their underground, spring fed wading pool. Unwind and relieve your muscles after all that activity in their heated pool all conveniently located on the same property. Life guards are also present at all pool areas and along the falls to help keep you in the safest swimming areas and to watch out for unwanted accidents. You can also have a pleasant picnic and relax in a garden like setting at the bottom of the falls. 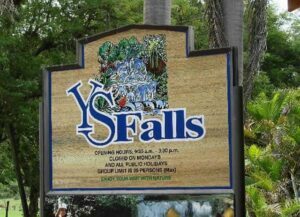 The YS Falls is known for being quite an environmentally friendly attraction and they do their best to protect their environs and numerous underground springs with eco friendly composting toilets. Y.S. falls has been recognized and have won several awards over the past two decades from Jamaica’s Hotel and Tourist Association as the ‘Attraction of the Year’ and also from the Ministry of Tourism and Sport. The name Y.S. falls can be easily replaced with the words “Beautiful! Fun! Exciting!” This is a trip of a life-time for you and your family and stopping by the Y.S. Falls while you are in Jamaica can cause your visit to make these words a reality. Create a pleasant memory that can be treasured for a long time. I read this article and found it very interesting, thought it might be something for you. 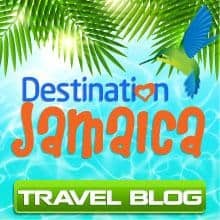 The article is called Things To Do in Jamaica – Y.S. 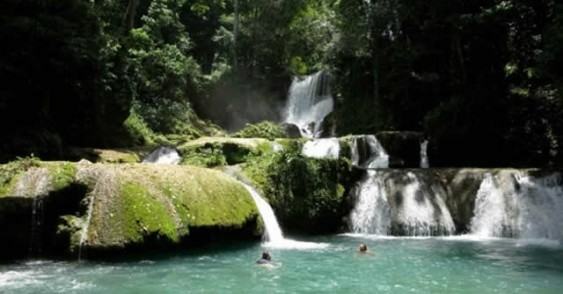 Falls and is located at https://jamaicagetawaytravels.com/things-jamaica-y-s-falls/.